If you’re here, I’m pretty sure you’re probably raising certain types of chickens for their eggs. Raising chicken breeds for eggs is usually why people get into chickens in the first place! Then, very quickly, you realize it’s a lot of fun to own these weird little cluckers and each of the types of chickens has a distinct personality…….and you fall in love. Some types of chickens are great chicken breeds for eggs, some are good for meat, and some types of chickens are perfect as pets. And there are some chicken breeds you need in your life just because they’re fun and quirky (and you can put bows on them). 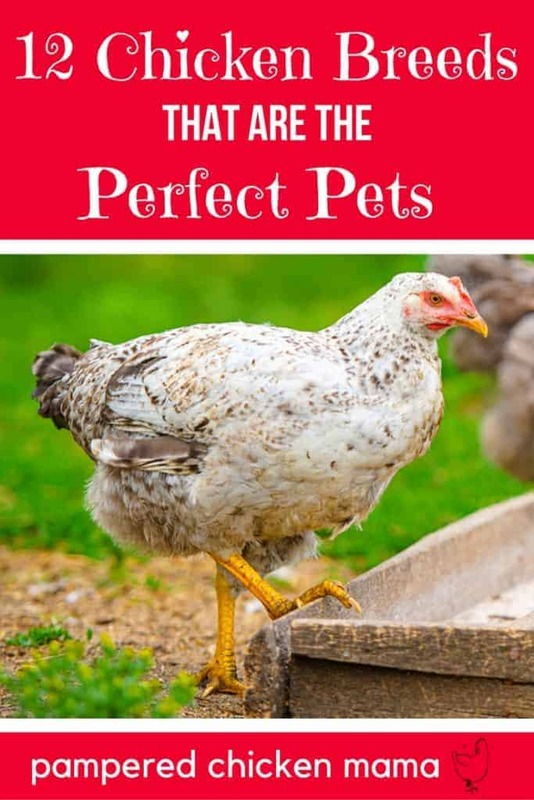 In this article, we’re going to show you the best types of chickens that are perfect as pets! 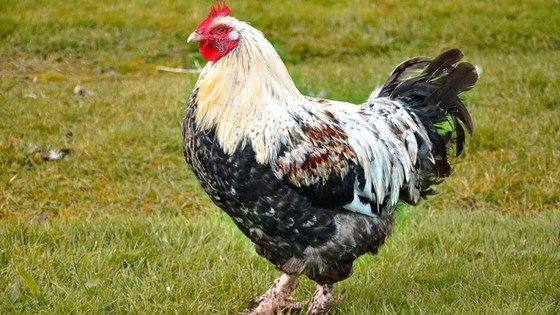 Marans, a type of chicken which originated in France, can lay anything from a light brown egg to the coveted chocolate-colored eggs (said to be the best in the world). The first few eggs a marans hen lays can be darker than subsequent ones, unlike other chicken breeds. Chart your flocks egg colors to see if her eggs stay the same shade! 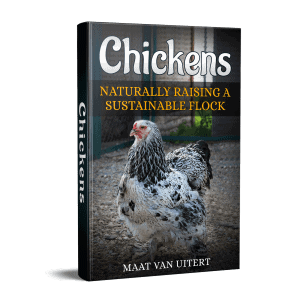 There are several different types of marans chickens, including Black Copper, Blue Copper, Cuckoo, and Wheaton. This type of chicken isn’t really a breed, but rather a modern strain, created for high egg production. They lay very consistently, and some will even lay throughout winter. 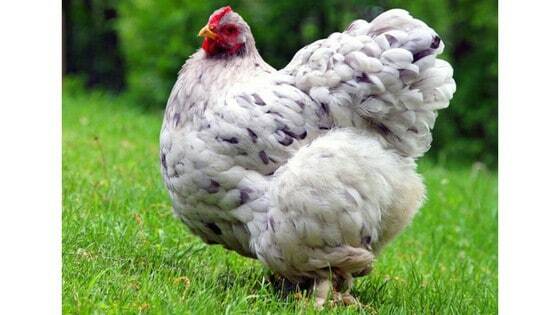 This is an old chicken breed that’s been raised in the United States for hundreds of years. Plymouth Rock chickens are a great chicken breed for eggs. They lay about 280 eggs a year and the roosters are great guardians and protectors. 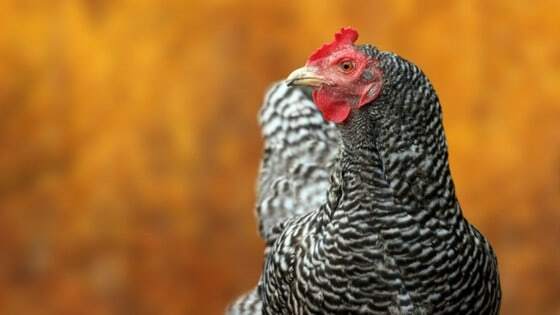 Easter eggers are not breeds of chickens, but rather a hybrid between chickens carrying the blue laying gene and another breed, such as New Hampshire Chickens. If you’re looking for a healthy types of chickens that lay all sorts of colored eggs, then definitely raise Easter eggers, but know the color of the eggs isn’t guaranteed, since they don’t breed true. 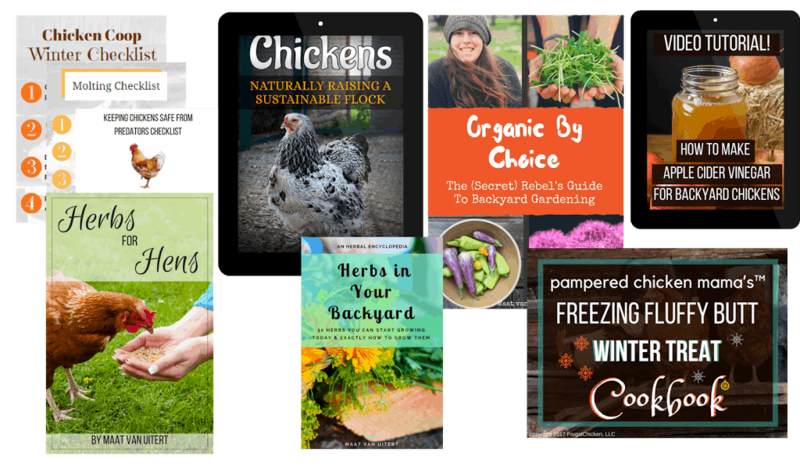 Out of all the types of chickens, Silkies are best known for their even, friendly temperaments, and some silkies are even used as therapy chickens for special-needs children because they’re so good with people. Silkies are adorable with fluffy feathers and 5 toes on their feet. Adult males get around 4 pounds. Hens go broody easily, and they are the types of chickens that will hatch eggs other than their own. Rhode Island Reds is one of the oldest types of heritage chickens in America. There are both industrial strains of Rhode Island Reds, bred for egg production as well as the heritage strains, which are larger. They’re docile and friendly types of chickens, and easily trained to be held in your lap. Rhode Island Reds also happen to be an excellent chicken breed for eggs, and they can produce about 280 eggs each year! Ameraucanas are great pet types of chickens because they lay beautiful blue eggs and are small and look adorable. An American breed, Ameraucanas were developed intentionally to preserve the blue egg laying gene of the Araucana (which is the only type of chickens evolved to carry the blue egg laying gene), but to eliminate the some of the lethal genetics of the Araucana breed. Hamburg chickens are beautiful with black and white feathers. They are great chicken breeds for eggs, and you can get either full sized or bantam types. These types of chickens look a bit like cartoon characters with big tufts of feathers on their heads (they look like pom poms!) Polish bantams come in a variety of colors, and they are calm and docile. I mean, who wouldn’t love looking at these cluckers all day? This breed is becoming more popular because…well…..lavender. They’re not really purple, although some owners disagree! They’re a type of orpington, which are known for being great layers. They’re also great companions! Sultans are one of several heritage chicken breeds that are critically endangered. They were bred in Turkey as ornamental birds for the gardens of the Sultan (in fact, their actual name is Serai Taook, which in Turkish means Sultan’s Fowl.) They’re very pretty chickens, with tufts of feathers on their heads and feathered feet. How neat are these Frizzles chickens? Their curled feathers are a genetic trait, and are certainly a show stopper! These types of chickens are docile and happily will sit on eggs for you when they’re not strutting around your yard! 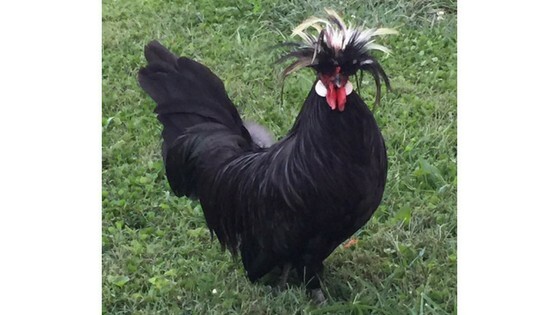 These types of chickens are super cool – they have black and white feathers, and tufts of feathers on their feet. They’re docile and happy to hang out on your lap! Best of all, you can get them as average sized chickens, or as large as turkeys! How cool would a huge rooster like this be in your backyard! Can Chickens Lay Without a Rooster? Do Eggs Go Bad? What You Need to Know! I’ve heard that Serama Bantam are about as friendly as chickens get and seek out human companionship. Going to try them out as soon as I can. I have a Light Brahma who is about 5 years old. She has slowed laying quite a bit, but her eggs are XLG … (can’t close the egg carton big!). I have found that this Brahma is super broody and her broodiness happens frequently. I don’t want chicks and getting her off the nest is a full time job. I think this breed is pretty and easy to raise, but she has always been a bit skittish….even as a young bird. If you want chicks, she’s your girl!